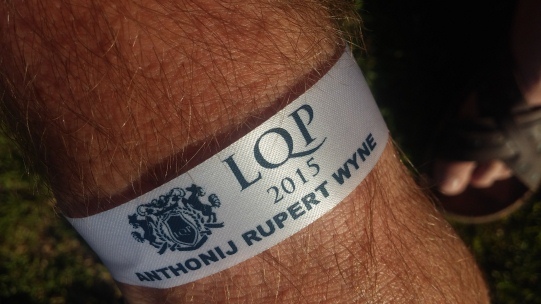 I was fortunate enough to be invited by event sponsor Anthonij Rupert Wyn as their guest to this year’s running of the L’Ormarins Queens Plate – one of the world’s greatest horse races. I decided to make a long weekend of it as Tyron, the Jabu of All Things Jabu, was able join me as a guest as well. 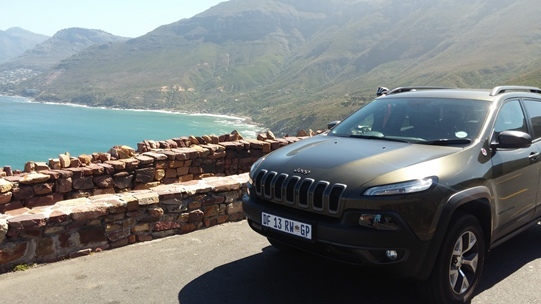 We flew in on Wednesday evening, returning on the Monday morning, and Jeep SA @Jeep_SA lent us a Jeep Trail Hawk for the duration – exactly what we needed for an adventure weekend in Cape Town! We started off on Thursday with a trip to Franschhoek to visit our hosts, and of course, to see the Franschhoek Motor Museum which is on the L’Ormarins wine farm. 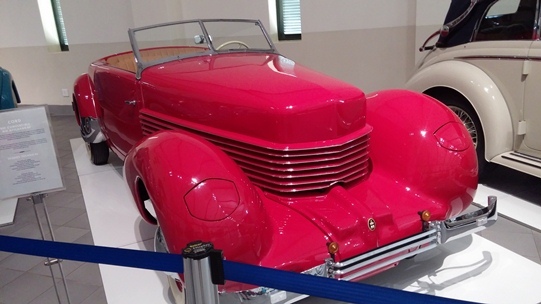 The Museum is magnificent, and we were lucky enough to visit whilst they had a big collection of their Alfa Romeo cars on show. 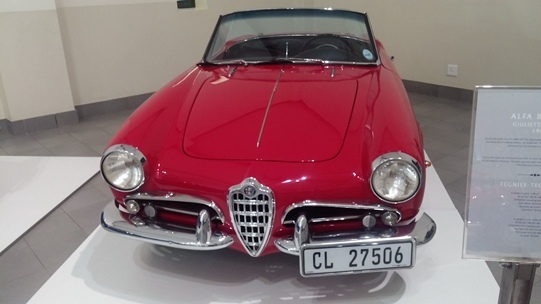 The Museum should be everyone’s must-see list when in Cape Town – even non-petrolheads (like Jabu) will appreciate the beautiful cars in the collection. In fact one of the highlights was the actual Rothmans race car that won the 9-hour race at Kyalami in 1970. 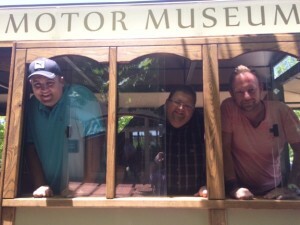 We also hopped on one of their trams and visited the Terra Del Capo and Anthonij Rupert wine tasting rooms – the trams themselves are an experience as you are almost transported to another world right in our own backyard. Definitely something I’d do again! Marco Barbera @Marco_Barbera from Anthonij Rupert Wyn showed us around and he really made the experience unforgettable. Thank you Marco! We decided to take the Jeep up the Franschhoek Pass, and it really impressed us – cruising through the twists and turns to give us a stunning view from the top of the pass, something truly magnificent. The Trail Hawk handles exceptionally well and is spacious and comfortable. 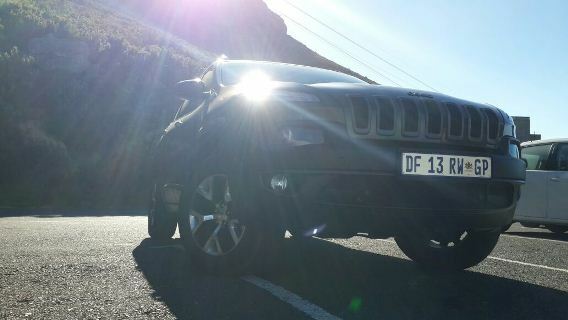 We tackled a number of scenic trips, including Chapmans Peak, Cape Point and Signal Hill, and the Jeep inspires confidence and makes driving a pleasure. Then came the main event, the race day itself! There is always something special about a big race day. I think for me, it comes from growing up with horses. I grew up on a stud farm and we bred racehorses, racing some of them under our own colours with David Ferraris (now based in Hong Kong). Great memories. 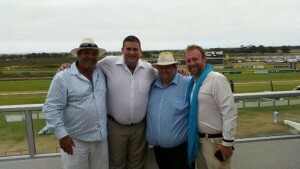 However, you don’t have to be a racing aficionado or punter to enjoy this event. What adds to the L’Ormarins Queen’s Plate is the sense of exclusivity – you know that you’re at a special event. Added to that was walking into the lounge, which was shared with BMW, with the traditional theme of Blue and White brilliantly applied to create a powerful presence. All the guests were dressed to suit the theme and the occasion, with many celebs turning heads and adding to the heady atmosphere. Wine flowed as horses raced and the excitement built, race by race. Everyone was having fun, putting a little bit of money on the ponies, as did I. I must still have a good eye for a horse, getting a few winners which I bet to place – I should’ve been more adventurous and gone for wins! One of the things that makes the L’Ormarins Queen’s Plate race day unique in South Africa is that there are two ‘main’ races on the day: the Maine Chance Farms Paddock Stakes and the L’Ormarins Queen’s Plate itself. The Queen’s Plate was won by Futura, a magnificent horse who had kept everyone guessing about his fitness in the lead up to the race. The massive surprise was the overwhelming favourite Legislate (Who is now a tweeting horse) running into last place! We were invited up into one of the private boxes from Unogwaja Challenge @TheUnogwaja Blake Dyason for the main race and had a grand view of Futura winning (Which Jabu’s brother B had bet on impressively). Exhilarating is the only way to describe it! The day wasn’t just about the racing, though, with Jabu disappearing into the Stud Club and rubbing shoulders with the likes of Cindy Nel and Herschelle Gibbs. My personal highlight was meeting renowned chef and restaurateur, Reuben Riffel. This event has a real sense of celebrity and occasion. The whole style lounge area was stunning, with loads of interesting places to eat (the food was superb), and a perfectly maintained sense of the blue and white theme. The various after parties were also memorable, but the some things need to be experienced first hand. I’ll definitely be going back next year!